Holla! So I am here to blog about the launch of Samsung Galaxy Y Hello Kitty Limited Edition! Told ya I am going! 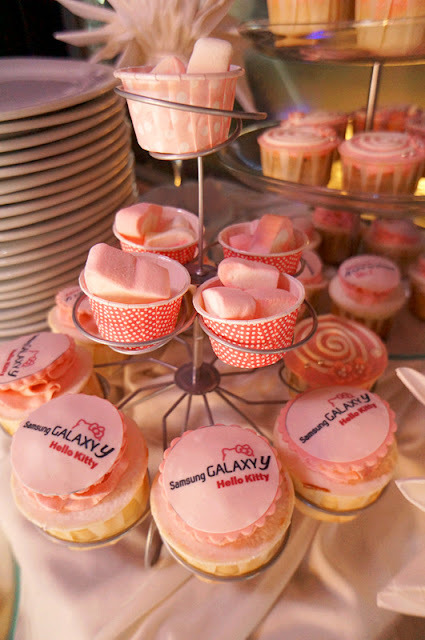 Samsung Super Sweet BFF Party held at GSC, pavilion couple days ago. And it took me a few minutes to find the entrance. Because it was located at level 6. 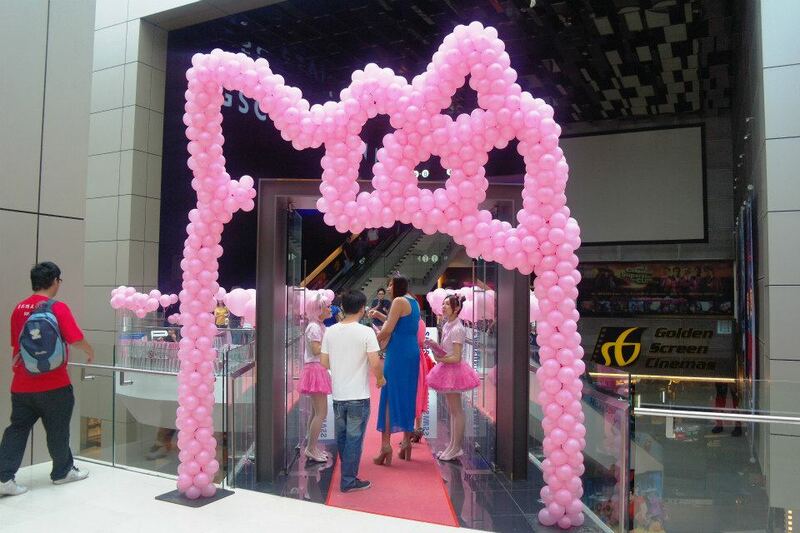 Look at the super adorable entrance! I actually spotted myself when I was searching for the entrance downstairs. 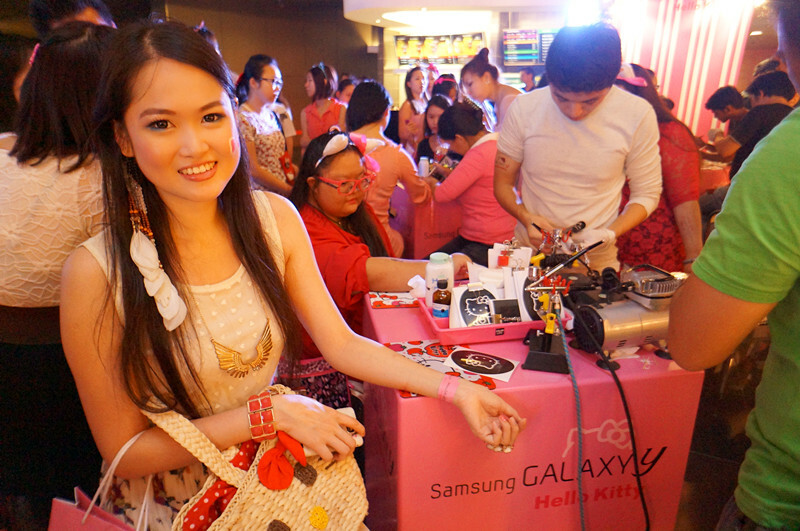 Dolled up myself with pink and white coordinates because there were best dressed to win the Hello Kitty phones! Who said bf can't be BFF? 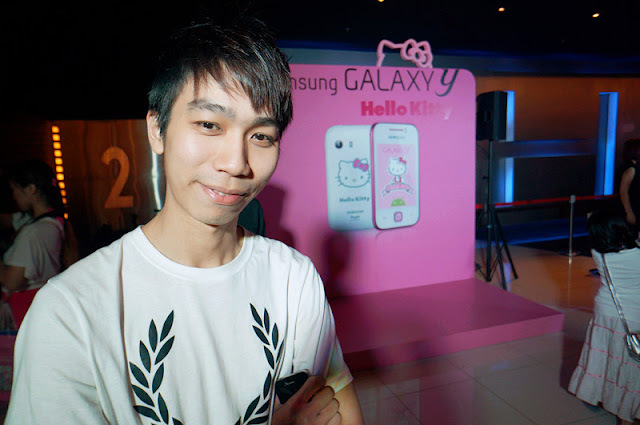 Sadly he couldn't enjoy the privileges that provided by Samsung Malaysia! 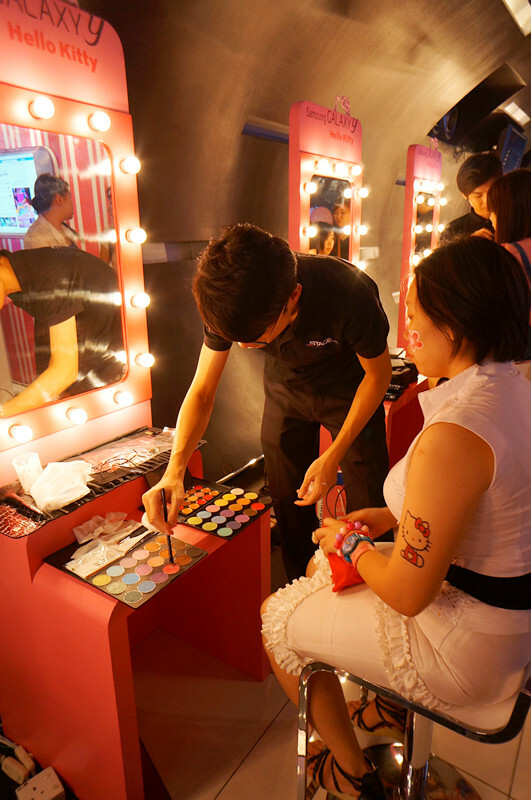 The privileges are specially designed for girls, provided girls' pampering corner including manicure, face and hair makeover, air-brush tattoo and so on! 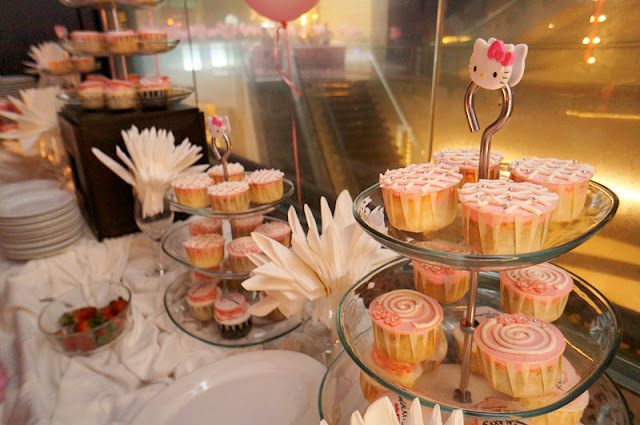 All of em using were Hello Kitty's theme! How could you resist it Kitty lovers? Meet Kelly! She's doing the Hello Kitty air-brush tattoo! Wilee and Casey! Wilee is doing her sweet Kitty nails. Apparently, there were a lot of people who deserve the best dressed. Many of em dressed up with Hello Kitty logo outfits and some of em even got their Kitty make-up on! Impressive! 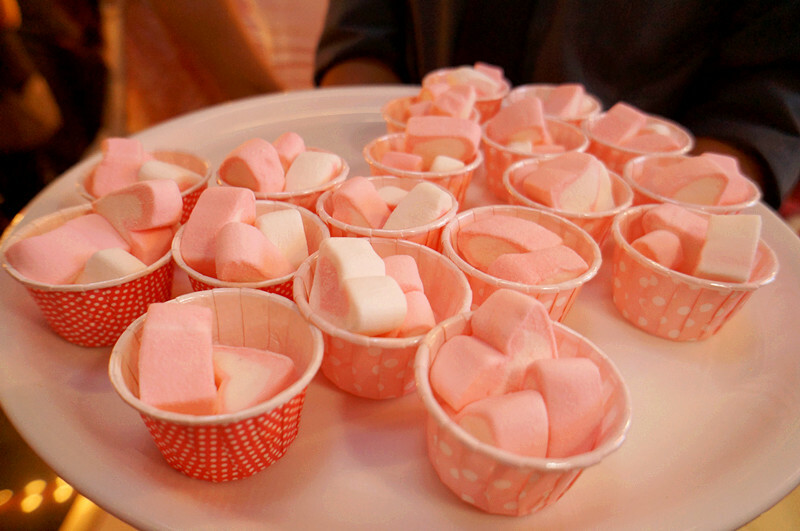 All food served in pink, I think I was overloaded with pink and white colors during the event. Aww! 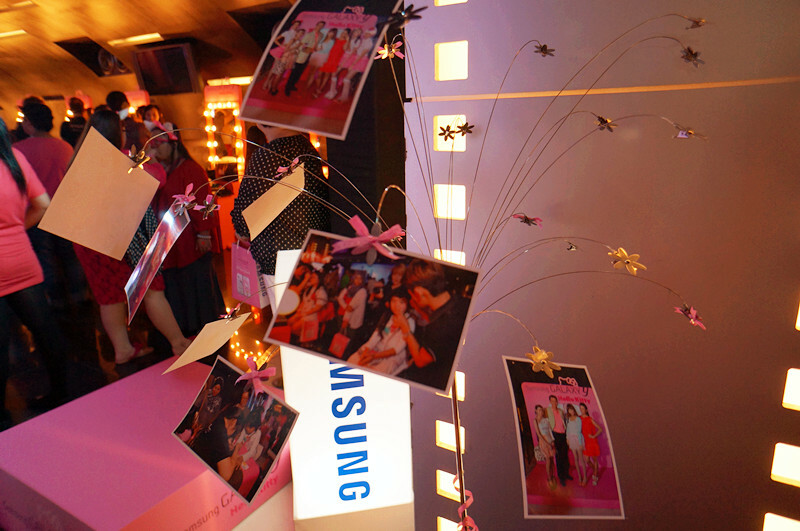 A mini fashion show provided by Samsung Malaysia during the event. 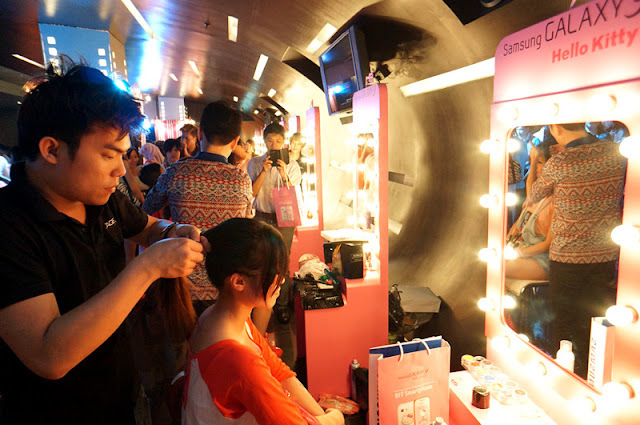 I had my try on the hair and face makeover after the show! Samsung Malaysia was being so sweet, we also got invited to watch the 3D screening of animated fantasy-adventure film, Rise of the Guardians! 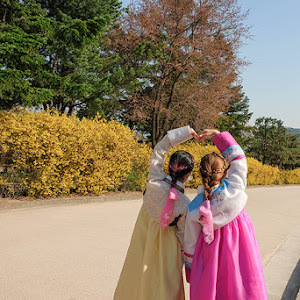 I always love animation movie and get to spend time with my BFF too! 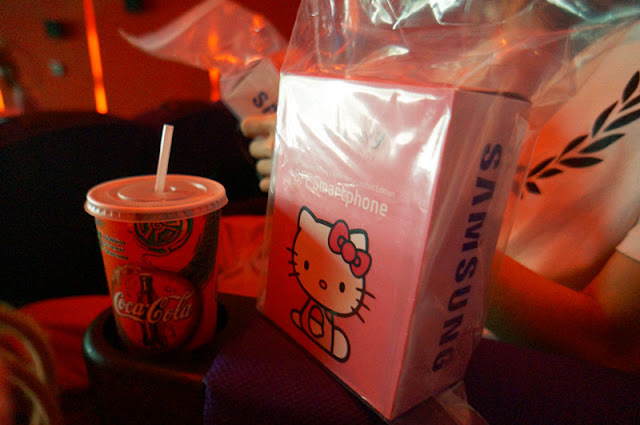 The warmest thing is we saw one box of popcorn and coke placing in every seat once we entered! At first I thought is a phone! haha! 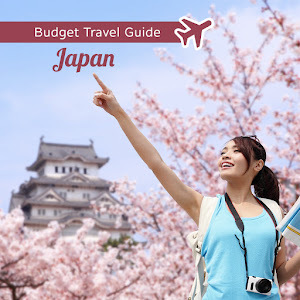 Lastly, a good new to you! Have you heard of Sanrio Hello Kitty Town which is located at Johor? 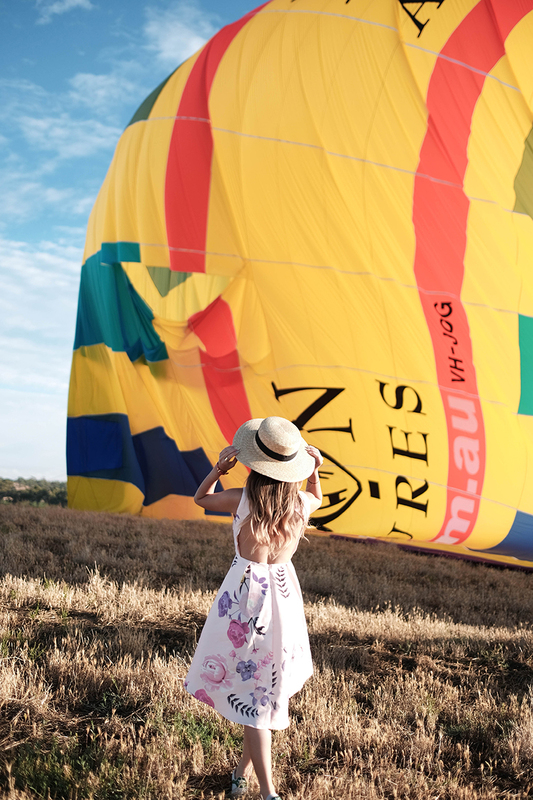 Do you want to get an exclusive VIP trip to there? 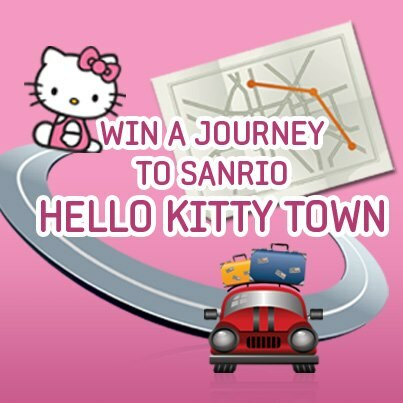 Samsung is having a competition now and the grand prize is win the VIP trip for four! All you need to do is purchase the Samsung Galaxy Y Hello Kitty Limited Edition from any of the outlets stated (http://www.facebook.com/notes/samsung-mobile-malaysia/samsung-sep-list/420026001372526) then you might have a chance to win it! 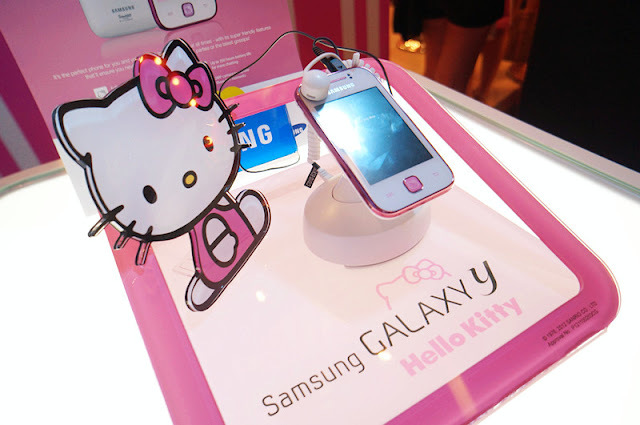 Check out Samsung Galaxy Y hello Kitty for more information. Hi! 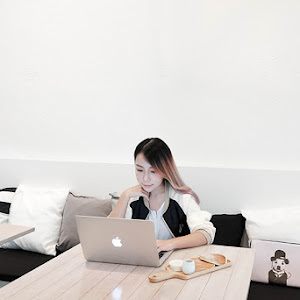 Where did you buy your phone?